GMO Foods: Helpful or Harmful? GMO controversy. Injecting DNA and altering biology. Have you followed the GMO controversy? It is a bit complex to understand, to be sure, and comprehensive scientific evidence is not yet established. Still, it is true that a high percentage of our food supply is already GMO, and labelling is not required. If it’s a good thing, no problem. If there are hidden dangers, how would we know? Vast numbers of people have eaten GMO foods without apparent immediate effect, but there are no mechanisms established to systematically test potential hidden difficulties. The purpose of going to all this trouble, particularly in large laboratories like Monsanto, is to improve yields of crops and make farming more efficient and profitable throughout the world by creating hardier crops, making crops resistant to insecticides and herbicides, and hopefully to make food more nutritious and tastier. Given global population explosions, this sounds like a noble motive! 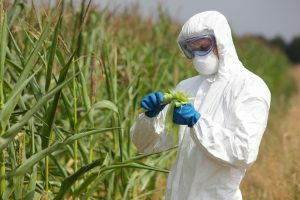 Arguments in favor of GMO are promoted by large agriculture companies (especially Monsanto), WHO, and FDA. Increasing yield of crops can be a boon to mankind and has been the goal of agriculture throughout history. Profit is also a motive in terms of improving efficiency of farming processes, a boon to large corporate farmers and small farmers in developing countries as well. In addition, the food produced will hopefully provide more nutrients and improved taste. Monsanto and other GMO companies make their profits through patents and worldwide distribution. Monsanto has stated its goal is to make all food GMO in the future. Those who oppose GMO have formed a variety of public service groups of advocates and concerned scientists. 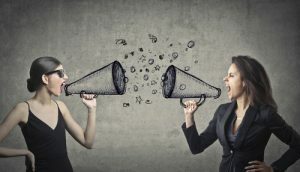 Their funding is sparse, and these scientists say their work is marginalized in laboratory environments and in journals. They claim that genome modification is still early and unregulated, and thus unpredictable in outcomes. They claim that toxins are being produced, food allergies are generated, and nutrients are reduced rather than enhanced. On a broader scale, they believe yields are not increased, soil quality is compromised, biodiversity is constrained with unpredictable environmental consequences, and cross-kingdom gene transfer will upset ecological balances even more than are already happening. Basically, the philosophical bases of these two sides has to do with trust — or distrust — of large institutions. These are the biases. What is the evidence? Admittedly it is sparse, so sound conclusions are hard to come by. This is a relatively new innovation in science and agriculture, so patiently gathering data is still preliminary. Nevertheless, here are highlights …. Active GMO production began in the late 1990s. 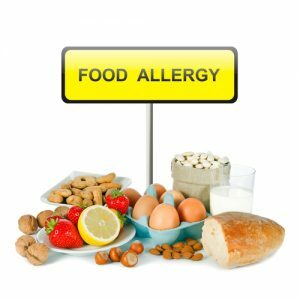 Around this time, there was an unexplained increase in food allergies — particularly from milk, wheat, nuts, legumes, and citrus. As a generalization, clinicians in practice have seen a dramatic increase in autoimmune diseases in the last few decades — including lupus erythematosus, rheumatoid arthritis, ulcerative colitis and Crohns disease, psoriasis, fibromyalgia, etc. Early in the 2000s, an epidemic of autism developed with clear genetic correlations but definite developmental timings suggesting chemical or environmental influences. Of course, all these observations are really correlations, not necessarily causes. Mechanisms are not established. Other environmental changes have occurred concurrently. Think about the vaccination explosion after George HW Bush’s administration and enhanced by Bill Clinton. The rise of urbanization and consequent pollution throughout the world corresponds in time. Use of fossil-fueled vehicles and ubiquity of plastics added huge chemical burdens. Even the advent of computers and cellphones correlates in time. Finally, global warming has come to a crisis point during the same time period. It is human nature to focus on a potential cause, but correlations are very tricky and potentially misleading. Big passions can be generated without being grounded in truth. So file this information away, but hold it in cognitive-dissonant abeyance until there is further evidence. Isn’t normal agriculture a form of genetic modification? Yes, for sure. All progress in agriculture came from selecting seeds for better crops. Biodiversity was reduced massively by agriculture; consider the diversity in a forest compared to a wheat or corn field. Even so, mechanisms of seed selection enabled evolutionary natural selection to make gradual changes. Failures fall by the wayside. Genomic modification in laboratories accelerates the process astronomically without natural selection in the environment. Deformed outcomes happen all the time and are discarded, like genetically-modified salmon with unpredictable development of deformities and tumors. The evolution of DNA biology is still evolving. At first, it seemed to be a simple code mechanism, similar to computer code. In part, this is true. Certain DNA sequences direct formation of specific proteins. During this phase in DNA history, there was a lot of “junk DNA” that seemed to code for nothing. Gradually it was understood that many sequences are used to turn on and turn off other genes, revealing highly complex mechanisms depending on contact with environmental influences to shape expression of genes. More advanced visualization techniques demonstrated that DNA in live cells is not just linear; it shapes and reshapes itself in 3-dimensions, enabling even more complex interactions. Finally, it is now known that DNA molecules are embedded in their own energy fields which can be altered by energy influences. DNA interactions are highly complex and only incompletely understood. This has great implications for scientists attempting to modify DNA. Interactions with governor genes, with 3-dimensional reshaping of interactions, and interaction with its electromagnetic field all need to be better understood. Otherwise, outcomes will be (and likely already are) unpredictable. “Bt genes” drawn from a soil bacterium called Bacillus thuringiensis produces a BT delta endotoxin, which kills a variety of insect larvae, is one of the earliest efforts at GMO. It has now been used in maize, potatoes, and cotton. Enough time has gone by that insects are learning to resist this gene. In addition, such plants can invade regions outside their own crops, thereby spreading the gene into the wild with unpredictable ecological effects. Cattle have been treated with “Insulin-like Growth Factor 1 (IGF1)” to enhance growth of cattle to yield more beef for market. Presence of this particular gene has been linked to cancer and resulted in a large-scale scandal in Europe. The American Public Health Association and the American Nurses Association have condemned its use in cattle. In addition, IGF1 has been forbidden in Walmart, Starbucks, Dannon, and Yoplait! GMO treatment of rice in order to create a hardier crop has been found to reduce a protein called glutelin. Reduction in this protein leads to an increase in prolamine. Prolamine in rice has led to rice allergy, a very rare condition in general and a significant problem from vegetarians and Asians in general. According to Iowa State University, some GMO foods carry antibiotic resistance features. When these foods are eaten, such features are transferred to gut bacteria and even persist in people who have eaten them. This renders them resistant to antibiotics which they might need someday! Introduction of gliadin (a component of gluten) into wheat crops has caused overeating in humans, according to Dr. William Davis, a cardiologist. The increase has been measured to be 440 calories per day! Once again, I remind you that this could be another non-causation correlation. However, it seems to be dose-related, which strengthens the correlation at least. Monsanto has genomically-modified many varieties of crops to become resistant to its herbicide Roundup. This enables farmers to use MORE Roundup to kill non-GMO weeds while enabling the GMO crop to grow. The International Agency for Research on Cancer (IARC) states that 80% of GMO plants now are Roundup resistant. Besides increasing profits to Monsanto and cost of herbicide to farmers, this increases Roundup in the environment. Amphibians exposed to Roundup have birth defect rates of 50%. Such herbicides have been found to adversely impact habitat for monarch butterflies, which in fact are in drastic decline. In a corollary study, canola plants that were genomically modified to resist herbicides were found to have spread into the wild into North Dakota and California. They then become invasive and crowd out more natural plants and crops. Genomically-modified bacteria that have ended up in soil causes damage to soil productivity. Attempts to regenerate soil have led to creating bacteria that put glyphosate into the soil. Studies have found that glyophosate binds nutrients in soil and has been found to cause cancer. What about increasing yield of crops globally? A good thing, right? Actually, Concerned Scientists in their 2009 report show that GMO crops mostly do not increase yield, and often decrease yield. A large report by the International Assessment of Agricultural Knowledge, Science, and Technology for Development worked with 400 scientists in 58 governments throughout the world. They found highly variable yields by GMO crops, some in decline. Their conclusion overall was that GMO crops have nothing of benefit to offer for global development. Obviously, this entire field is full of passion, greed, governmental neglect, and sketchy science. As emphasized so often in this blog site, correlation does not mean causation. It may provide hints, but should not in itself be convincing. Another theme of this site is the notion of staying as close as we can to our genetic evolution from caveman times. We in the developed world have already departed in a large way by not eating directly off the ground and relying on supermarkets. Now the widespread prevalence of GMO foods creates another departure. Sure, scientists who invent these techniques are intelligent, but they are not God. Their motives are often profit rather than true societal benefit. And DNA science is still in its infancy in comprehending nuances of DNA interactions with environment. Domino effects reign! So GMO interventions have unpredictable consequences. Be cautious. Keep paying attention! [Reading this blog, you might think the main focus of MDinyourHand is to provide health information. Not true! The main focus is to rapidly relieve acute injuries and ailments such as head injury, back pain, and bites and stings. Pet cystitis and pet abscesses can be treated for dogs and cats.Even childbirth complications can be relieved! If you live in remote villages, malaria and typhoid and cholera can also be relieved.